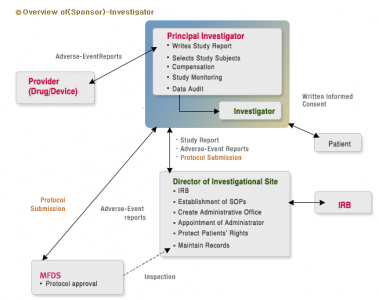 In the following pictures we added an overview of the clinical trial regulation in Korea. 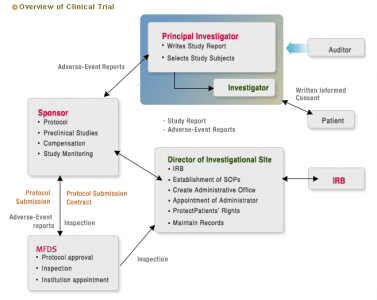 It gives an overview of the process for clinical study in Korea. We recently had lots of discussions on how to conduct studies we thought a brief reminder would be welcome. The first table is about the process when investigator and sponsor are distinct. The next table is describing the process when investigator and sponsor are the same.